Jeepers Creepers III DVD and Blu-ray release date was set for December 26, 2017 and available on Digital HD from Amazon Video and iTunes on December 26, 2017. 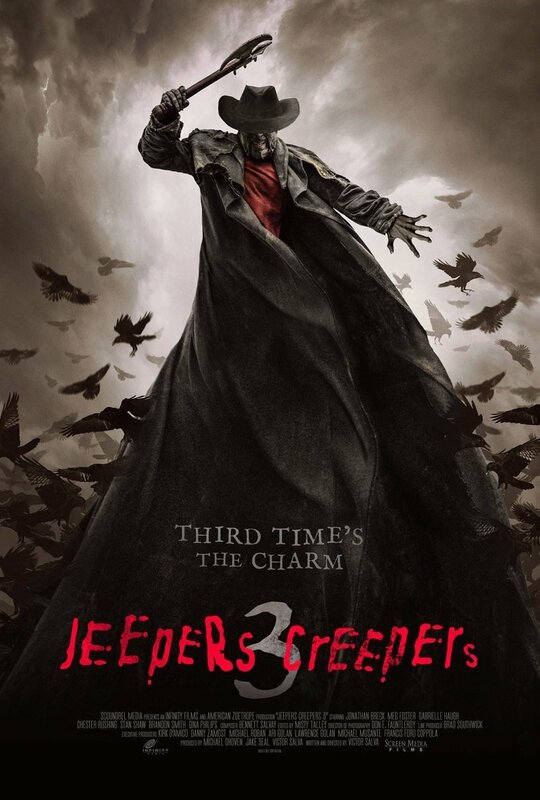 Jeepers Creepers III: Cathedral, the long-awaited sequel to the trilogy, is set 23 years after the Jeepers Creepers II. The blood-thirsty, human-slaughtering creeper -- of unknown origin -- once again, rears his ugly head to terrorize the local townsfolk. After a few grisly murders, it doesn't take long to realize that he's back. This time, the sheriff and henchmen have a little something for the Creeper. The question is -- will they finally destroy him for good, or will he arise again in 23 years?